One of the great things about Los Angeles is that there are always fun things to do in downtown la. No matter what time of year, there is an event or festivity to enjoy. With Halloween creeping up around the corner, you can be sure that the city is offering up festive activities to celebrate the season. Read on to learn more about Halloween events that are taking place throughout the city. 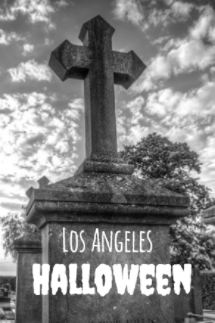 If you think Halloween is the perfect time to immerse yourself in the world of scary stories and ghosts than Creep LA is just the thing for you. This Halloween season, Creep L.A. has teamed up with Amazon Prime to bring to life their new terrifying anthology series, Lore. This episodic show embraces the folklore of popular myths and legends to get behind the real stories that started the tales in the first place. During Creep L.A.’s Lore experience, immerse yourself in the world of these popular myths as you venture through themed rooms. Will you make it out to the other side? Getting scared on Halloween, not your thing? Don’t worry, head over to the Avalon and dance the night away for the Halloween weekend. The Avalon is one of the most popular nightclubs in all of Los Angeles, and they are known for their recently revamped sound and lighting system. On Saturday, October 28th enjoy their Halloween Special featuring Dirty South and Randy Seidman. Get your tickets today before they all sell out! Olvera Street is a historical area of LA that honors the Mexican heritage of Los Angeles. From October 25th through November 2nd, come and enjoy Dia de Los Muertos or, Day of the Dead. It is important to note that Dia de Los Muertos is not akin to Halloween. Instead, it is a religious holiday that stems from a mixture of Catholic, Aztec and Mayan beliefs. During Dia de Los Muertos, loved ones that have passed are honored and remembered. Stop by Olvera Street and enjoy this cultural celebration that will feature, Aztec dancers, parades, sweetbreads and more!